That's "away from kitchen". 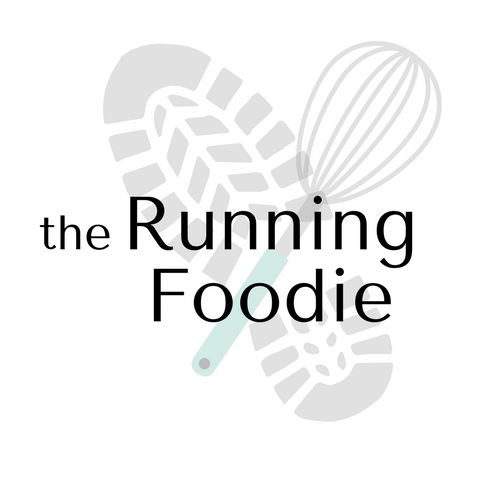 I haven't really felt like cooking much, and when that happens I feel bad about posting on my blog even though it's supposed to be a food and running blog. When you're not running very much either, that leaves me with absolutely nothing to say. It kind of makes me sad, honestly. 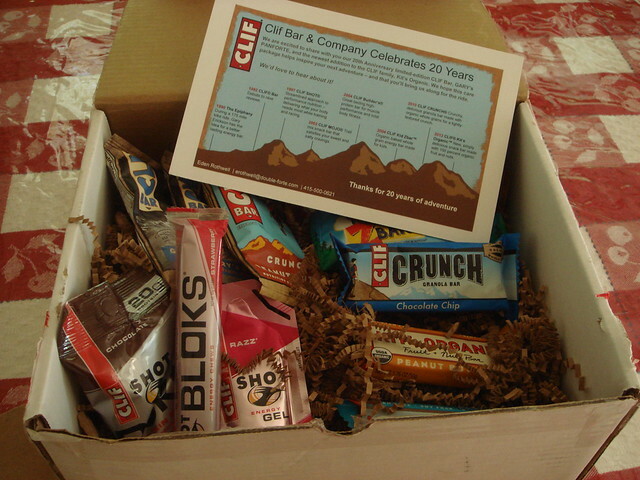 Clif Bar sent me a package commemorating their 20th anniversary. The context of the box contained at least on of each product, including items from their running line. Clif Shot Bloks were my favorite! I'm going to look for the margarita flavor my friend told me about. I gave a few of the bars away; staying true to their Italian blood, my brothers each picked the Gary's Panforte Clif Bar. Panforte is an Italian cake with fruit, nuts, and spices. Older Brother said it was tasty and the spices added to the other ingredients. Along with the older items were Clif's newest product, Kit's Organic, which is a bar comprised of dates, other dry fruits, and nuts as the only ingredients. I wasn't sure how I'd feel about them as there are other similar bars out there, but I enjoyed them. 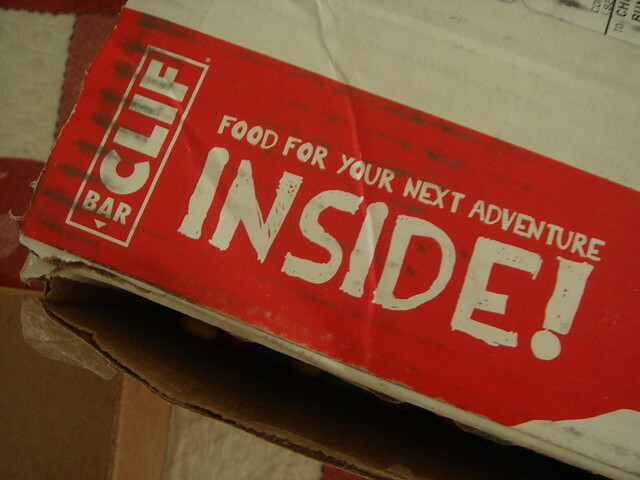 In the interest of full disclosure, Clif had already sent me four of their Kit's Organic bars earlier, but I was out of town when they arrived. Although I don't know what adventures are still left for the summer, this package kind of got me excited anyway. Thank you, Clif Bar! On that note, I have been running a little. Unfortunately, my calf doesn't seem to appreciate. I suppose I need to get really serious about implementing lower leg strengthening into my routine, but when you're depressed you can't see the silver lining very well. In part, I'm angry that I seem to have so much trouble running when others are able to do it with relative ease. It's just annoying. I purchased a calf sleeve today, though they didn't help the last time I used it... We can all dream. How lucky are you to receive a box full of goodies! I just ate the Shot Roks today... If only they came in a berry flavor. Your friend should hook you up, for real.